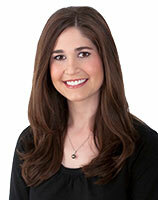 Dr. Audrey Ahuero is a board-certified Ophthalmologist specializing in Ophthalmic Plastic and Reconstructive Surgery. She is certified by the American Board of Ophthalmology, the oldest medical certifying board in the United States. What is an Ophthalmic Plastic and Reconstructive Surgeon? An Ophthalmic Plastic and Reconstructive Surgeon (Oculofacial Plastic Surgeon or Oculoplastic Surgeon) is an Ophthalmologist (medical doctor and eye surgeon) who has completed additional training in plastic surgery as it relates to the eyes and their surrounding structures. This specialty specifically focuses on cosmetic and reconstructive surgery of the eyelids, eye socket, tear drain and upper face. Since such surgery can affect one's ability to see, ophthalmic plastic surgeons are uniquely qualified to perform this delicate surgery and also provide any care that the eye itself may need. Ophthalmic Plastic and Reconstructive Surgeons have spent 6 years in training specifically on the eyes and eyelids which is more time on these areas than any other cosmetic surgeon. Trust your eyes to an expert. The American Society of Ophthalmic Plastic and Reconstructive Surgery (ASOPRS) is the main organizing entity for the field of Ophthalmic Plastic and Reconstructive Surgery. Membership in the American Society of Ophthalmic Plastic and Reconstructive Surgery (ASOPRS) is restricted to ophthalmologists who have been board certified by the American Board of Ophthalmology, completed an approved fellowship training program and who have also passed rigorous tests. There are approximately 20 surgeons per year trained in this specialized field. Following completion of training, surgeons must write a thesis research paper and pass written and oral examinations in order to be asked to become a member of ASOPRS. Copyright © DrAhuero.com. All rights reserved.